We chose to do customs for each of the basic faerie types: Air, Fire, Dark, Earth, Light and Water. Hopefully there is a little something for everyone. Now let us get into the outfits. 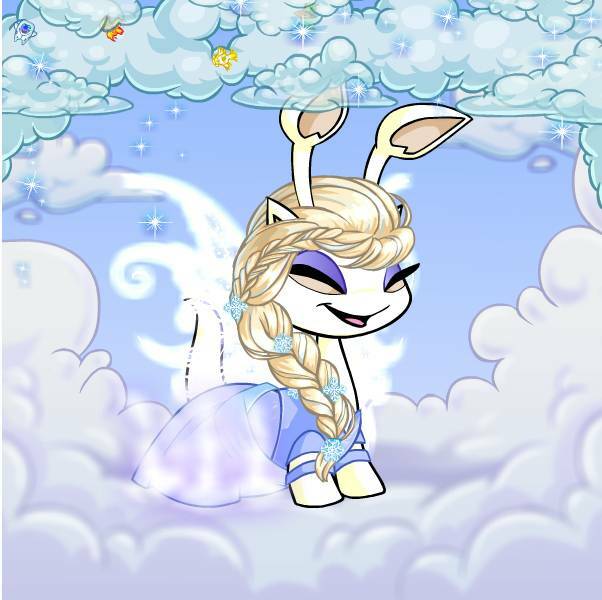 It's too bad that Psellia the Air Faerie doesn't come down to Neopia that often, because this customization is absolutely adorable; and honours yours truly. This Aisha is also incredibly proud to dress up like her! The cloud background as well as the dress is incredibly fitting, and makes you feel like you're actually in the clouds hanging out with the Harrises and Psellia, herself! Looks like the Aisha is also watching a beloved game of Cloud Racers in progress with the cute garland! Sometimes you can’t help, but love a good villain. While not all dark faeries are bad they all do have a mischievous side. 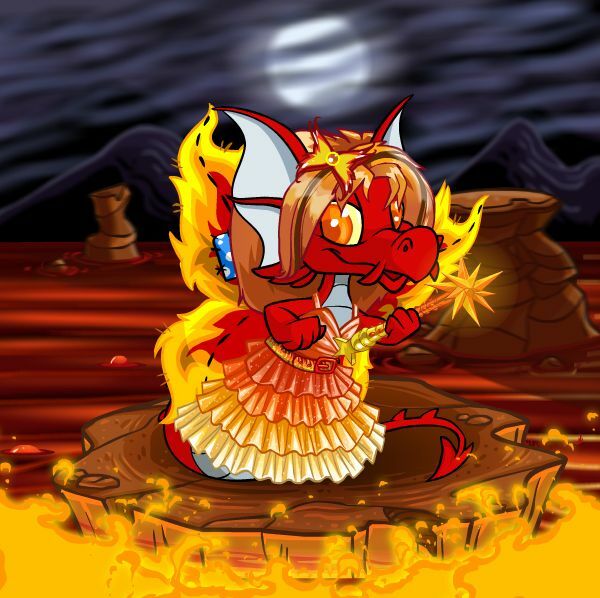 Whether you love Jhudora, Malice, Spite, Vanity or the Darkest Faerie (gasp) this outfit is perfect for your Neopet! Show your love for the dark side with these ominous accents and purple hues. 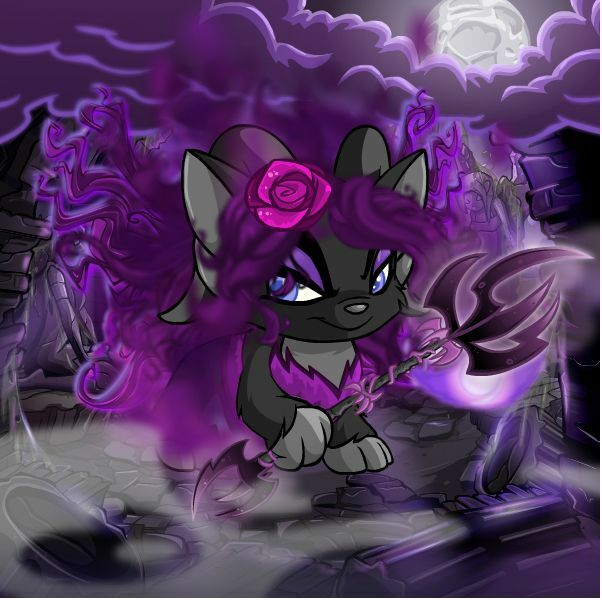 Your Neopet will look truly menacing and hopefully will scare off some of these evil wraiths! This outfit is inspired by everyone’s favorite earth faerie: Illusen. The forest background and tree frame really make this custom resemble Illusen’s famous glade. 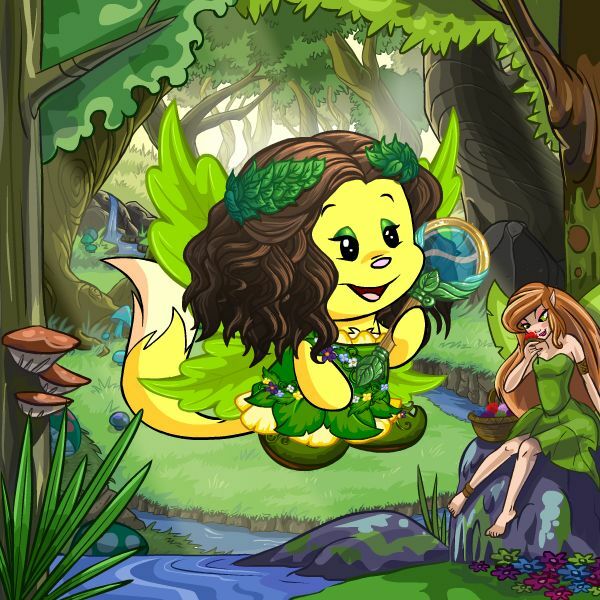 The leafy dress and hair wreath really make this a classic earth faerie look. The only thing that would make this look even better is cute little Petpets frolicking around! When you think of the light faerie, what comes to mind? Joy, hope, and of course, LIGHT! 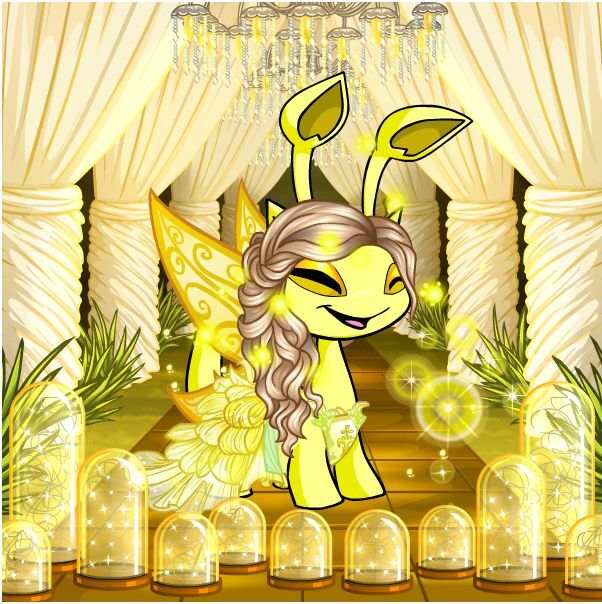 With this customization, your Neopet can embody all that which encompasses our beloved light faerie. A brilliant yellow gown with shimmering wings start the look, but you can't stop there. With swirling lights and orbs that dance around your pet and glittering jars winking in the night, you might have trouble telling the difference between your Neopet and the real thing! Under the sea, under the- oh! What are you doing down beneath the waves? You've stumbled upon our water faerie customization. With it, you can emulate the water faerie and be queen of the seas! The glitter, the glam, and the shells! 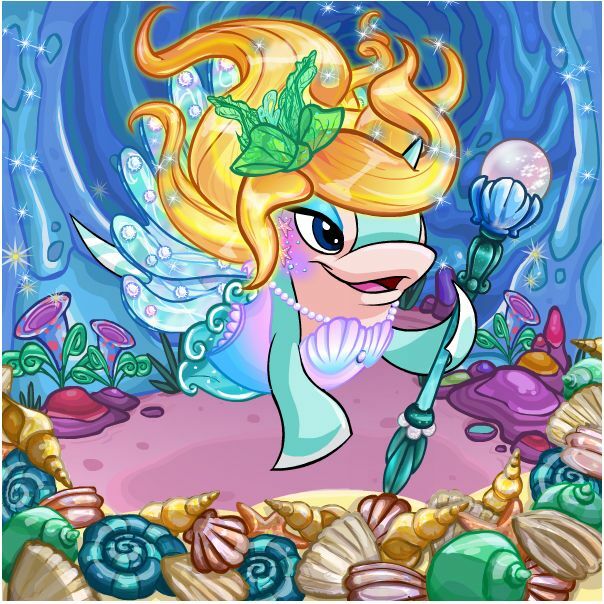 With your pets wig swaying in the gentle currants and sparkling wings of water and shell, your Neopet will not only feel like a faerie, but a water faerie, the best of them all. The backgrounds can change out, but the cave coupled with the shell foreground will give this piece a comfy, yet regal feel.